Legendary Manchester band Happy Mondays have announced a colossal Australian tour for early 2019, and they’ll be playing their seminal 1990 album Pills ‘n’ Thrills and Bellyaches in full. Pills ‘n’ Thrills and Bellyaches was a milestone album for the band. Having released two albums prior, this one, released in 1990, certified the group as legends for having bridged Manchester’s independent rock scene with the UK’s emerging rave scene, giving us a sound we have so much to thank for. 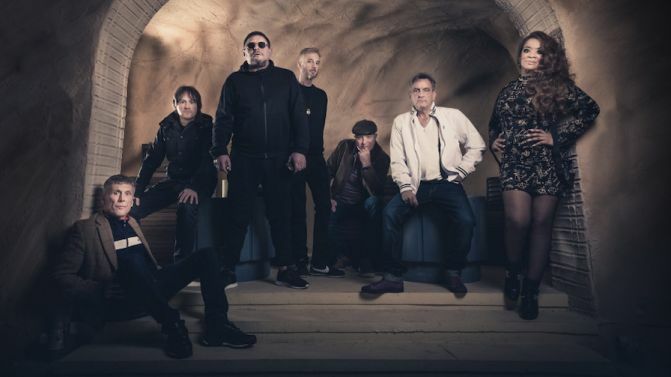 This is also the first Aussie tour from the band since they cancelled a tour they had planned for 2013, and will feature original members Shaun Ryder, Paul Ryder and Mark Day. Bez (percussion & dancer), Gaz Whelan (drums), Rowetta (vocals) and Dan Broad (keyboardist and musical director) will also take part in the tour, and organisers say the band have “a huge surprise in store”. The 2019 tour will kick off on Saturday, 2nd March in Perth, before taking on Adelaide, Brisbane and Sydney. They’ll be wrapping up the tour at The Forum in Melbourne. They’ll also be playing Golden Plains festival, on a lineup including The Internet, Beach House and Confidence Man, just to name a few. Check out all dates, venues and ticketing info below. Also performing at Golden Plains festival.